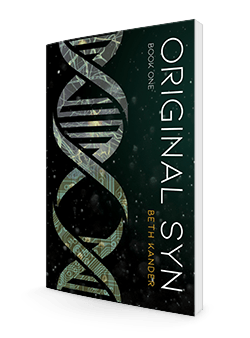 We recently sat down with Beth Kander to ask her the inspiration behind her latest work, Original Syn, now available through our sci-fi imprint, Owl House Books. As an author and playwright, people often ask me “Where do you get your ideas? !” Usually, the answer is complicated, and has to do with confluence, several ideas overlapping, that sort of thing. It’s rare that I have a clear, singular starting point for a writing project. But I can pinpoint the exact moment when the whole Original Syn journey began. I was on an airplane in the spring of 2011, and a previous passenger had left their tattered copy of Time magazine behind. Totally loopy from all the Dramamine I have to take to keep my terrible motion sickness at bay, I read an article about the impending “Singularity” – AKA the event horizon when man and machine merge. He estimated this happening in 2045, or sooner. In our lifetimes. I was terrified at the thought, and started wondering what the world would look like after this happened, especially if the tech was denied to those of us who aren’t mega-rich. Instead of solving humanity’s problems, what if it only exacerbated them—creating the ultimate Haves and Have Nots? Somehow I thought I could write an epic trilogy exploring the fallout of such a thing. (I blame the Dramamine.) But that’s how Original Syn began— the whole project was inspired by one article about a hypothetical but plausible scientific leap. It’s truly a case of innovation meeting imagination. The article got me thinking about the ramifications of an evolutionary leap. 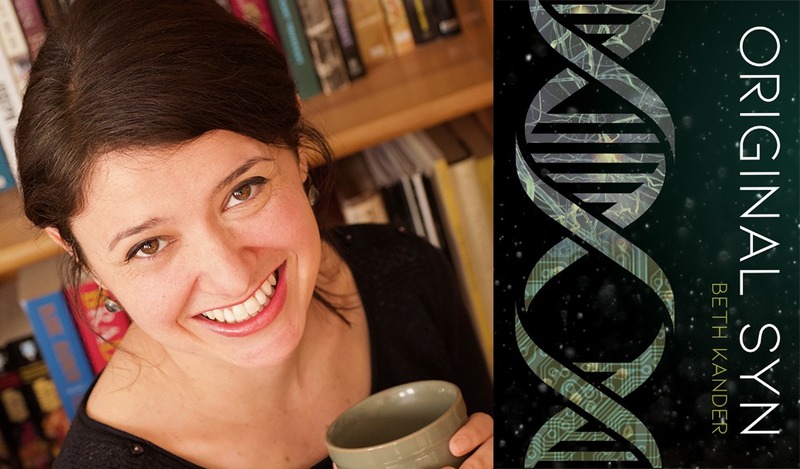 The science is fascinating, but made so much more riveting when it’s applied to complicated characters, with warring factions and forbidden romance, devious overlords and snarky underlings. That’s what the best science fiction does, and what I hope Original Syn achieves over the course of the trilogy: taking something that might possibly happen, and exploring what that might look like and why we should care, while sucking us in to worlds and lives that make us want to keep turning the page. 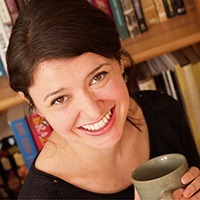 Beth Kander is an award-winning playwright and author. She lives in Chicago, Illinois, with her husband, daughter, and two geriatric rescue dogs.